When club president Amadeo Salvo refused to do a television interview in the aftermath of Valencia’s defeat to Atletico Madrid on Sunday evening, he went to wait in the player’s changing room for manager Miroslav Djukic. The writing was on the wall after the 0-3 loss and even though the Serb emerged to face the media and to leave the Vicente Calderon with his team, a day later he was gone. It was the second half that eventually sealed his fate. Los Che were set up well in the first period and were managing to contain the free-scoring Atletico before Diego Costa exploded into life after the interval, marching through the defence of Victor Ruiz and Antonio Barragan to break the deadlock. Costa then earned two penalties as the rabid Brazilian tore through Valencia’s feeble resistance at will, missing one but scoring the other. Raul Garcia added another to make it 3-0 as Atletico joined Barcelona as joint league leaders, separated from the summit by the virtue of a single goal. Losing to Atletico and Costa, who now has 21 goals already for the season, was not surprising and it would have been harsh to judge Djukic on that performance alone, but it was his 5th defeat in 9 games, a run that leaves the club in ninth place, that has sealed his fate. They have one less point than they did at the same stage last season but then-president Manuel Llorente had already acted, getting rid of Mauricio Pellegrino to appoint Ernesto Valverde. Valverde led them from tenth place to finish fifth, losing just 5 of the remaining 21 matches. A 4-3 loss to Sevilla on the final day of the season cost them a Champions League spot. Valverde left the club in the summer citing the unrest at boardroom level and how must the Mestalla hierarchy look on at the 49 year old with envious eyes as he sits in 4th place with Athletic Bilbao. 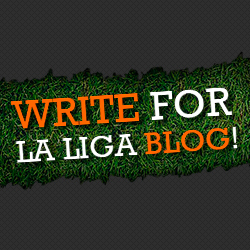 Valencia finished in the top four 5 times in 7 seasons between 2005 and 2012, though such heady days remain a distant memory as on-pitch success has been compromised by outrageous debt and the financial mess that envelopes the club off the field. When Llorente stood down from the presidency in April, he had managed to reduce the club’s debt by over 100 million Euros by selling the likes of Juan Mata, David Silva and David Villa, though he left behind a debt that still remained in excess of 400 million Euros. 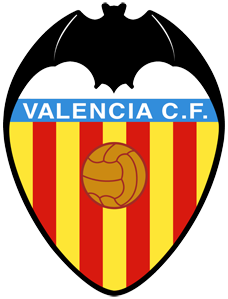 The club is controlled by the Valencia Foundation, an organisation that is itself controlled by the Valencia regional government. With the stadium half-way through renovation after work was suspended on it four years ago, Salvo put the club up for sale 250 million Euros last Friday as he searches desperately to alleviate the financial burden on the club. Following Valverde’s rescue last year, the Foundation will be aware that a vital money-spinning Champions League spot is still possible, so Djukic has gone while it remains so. Isco and Jordi Alba have both been forced to leave the club while in the summer, last season’s top scorer Roberto Soldado was cashed in to the tune of £26 million as he moved to Spurs. Tino Costa, a £6 million capture for Spartak Moscow, was another significant departure as Valencia recuperated £38 million on player sales. Djukic was allowed to reinvest under half of that, around £14 million of it, signing Dorlan Pabon, Helder Postiga and Michel. £2.8 million was spent on Paraguayan forward Nelson Valdez only to see him sold to Abu Dhabi outfit Al Jazira in July for a similar amount as the club looked to cut costs, Aly Cissokho was sent on a season-long loan deal to Liverpool as they sought to ease the wage bill after missing out on the Champions League. Adil Rami was suspended in September for criticising Djukic and, with a loan move to AC Milan on the agenda, has been frozen out of the first-team. It all left the 47 year old with a threadbare squad of just 21 players which also had to face the demands of the elongated, cumbersome Europa League. The summer signings have not performed; Postiga and Pabon have managed just 6 goals between them, a fraction of the 24 Roberto Soldado hit by himself last season, while Michel has managed just 4 appearances. Injuries have also played their role, Sofiane Feghoulli, the vibrant right-wing force of last season with 7 assists, has managed to start just 6 games. Brazilian Jonas, who played on the left of the potent attacking three last term, has continued his fine form from last year, scoring 8 times including a superb hat-trick against Osasuna, but only 7 other players have managed goals in the league. That centre-half Ricardo Costa is their joint second-top scorer with 3 goals tells its own tale of a misfiring attack. Djukic’s lack of faith in his strikers is best indicated by his use of 6 different players in the lone forward role across 16 games. The defence, weakened by the absence of Rami who performed so strongly last season, has struggled, shipping 26 goals, as only the league’s bottom four clubs have a worse record. They are definitely stronger when Jeremy Mathieu is partnered by captain Ricardo Costa at the heart of the defence, but Djukic has only managed to partner them in half of the 16 league fixtures. Their absence was duly felt on Sunday as Barragan and Ruiz were brushed aside by a rampaging Diego Costa. Perhaps most startling has been how much the retirement of David Albelda has affected Djukic’s midfield. Gone has the cultured presence that dictated and orchestrated possession last year and Javi Fuego, with a huge 47 fouls conceded, has struggled in his place alongside Ever Benega who, with 28 chances created and 3 assists so far, remains a creative force, though he has found himself often shifted around in midfield as Djukic failed to settle on a set system. The last few matches have seen Oriel Romeu, on loan from Chelsea, introduced to the fold and he was one of the game’s outstanding performers in the victory over Osasuna. Daniel Parejo and Sergio Canales, the 22 year old who has started to show glimpses of the form that took him to Real Madrid in 2010, have shown promise for the future, but it will be up to a new man, just like it was Valverde last year, to find a way of coaxing it out of them on a consistent basis. Djukic, with his hands tied at boardroom level and hindered by enforced player sales and a whole host of other factors arguably beyond his control, has failed to restore former glories to Los Che, so, as the club’s owners search for a way to control the financial mess, it will be down to another fire-fighting manager to sort out the problems that are existent on the pitch.